Steel building kits are a metal structure fabricated with steel for the internal support and for exterior cladding, as opposed to steel framed buildings which generally use other materials for floors, walls, and external envelope. Steel buildings are used for a variety of purposes. Steel building kits come as basic building packages that can be customized in both look and functionality. You do so by selecting various interior and exterior accessories to add to your base building package. 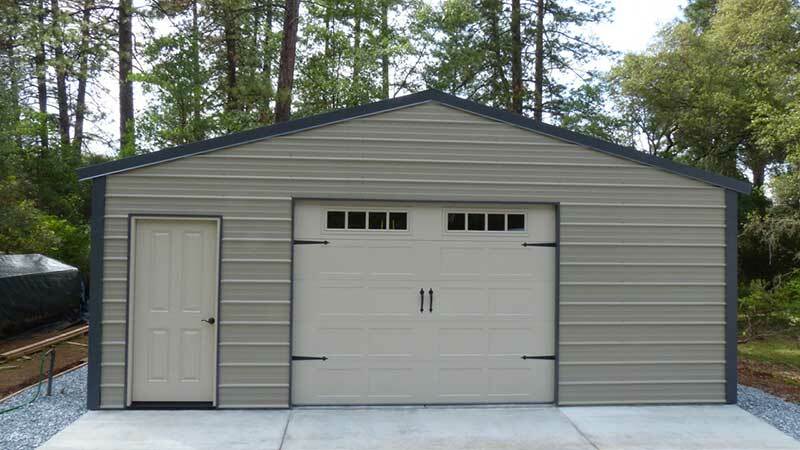 This customization process is what takes an ordinary steel building kits shell and transforms it into a garage, shop or professional office space. Steel building kits are a cost-effective and efficient way to get the extra space you need for your home or business in the form of a durable, easy to assemble building. Steel building kits are engineered for your local area, arrives conveniently at your job site on a truck and includes a bundle of I-beams, wall sheeting, secondary framing, roofing panels and instructions providing a step-by-step guide to erect your steel building. These steel building kits can be just as easily disassembled and transported to another location to be assembled again. This is a distinct feature of steel building kits – they are both flexible and personalized, and can travel with you should you need to change locations. Reduced material requirements – important if you are a greenie weenie (like me). You can build a very durable building with a minimal amount of materials. Durability – Steel of the gauges used in metal buildings withstands all manner of weather conditions better than just about anything else. Easy to handle – Steel tubing is essentially a long hollow stick, and the sheet metal is relatively easy to handle (considering the wall space a sheet covers), though leather gloves and a bit of caution are essential. Compact – You can haul the materials needed for a surprisingly large building on a surprisingly small trailer or truck. Cost – It is substantially cheaper than concrete, lumber, stone, cinder block, or just about any other materials. Flexibility – You can build an amazing variety of structures inside a simple metal shell. Further, the material allows an equally amazing variety of sizes and shapes of structures.